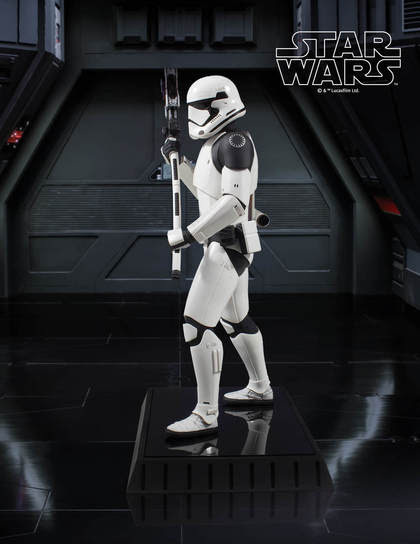 Gentle Giant’s long running 1:6th scale statue line is expanding into the Star Wars sequel trilogy for the first time! 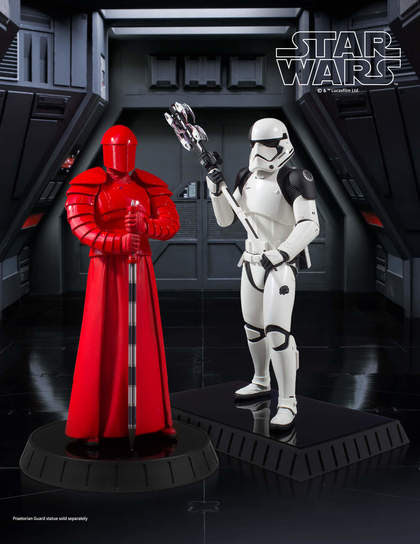 We are launching with two enforcers from the First Order, the Praetorian Guard and the Executioner Trooper. Both of these pieces will be shipping in 2019 and will each have an edition size of only 500 pieces. 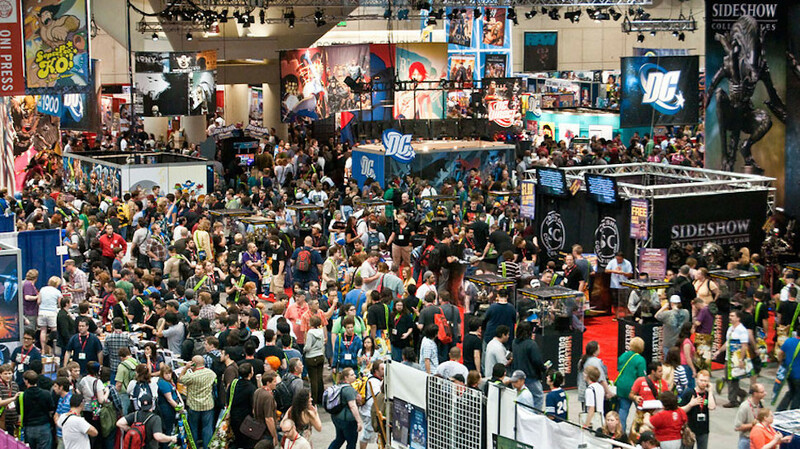 Make sure you get your pre-order locked in to reserve yours so they can help keep the rest of your collection in line! For a limited time we are offering a bundle: if you buy both pieces you save $100! Click on the banner below for more information. 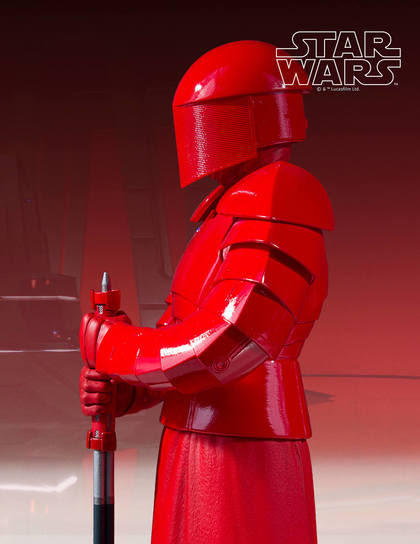 The Praetorian Guard were an elite squad of First Order warriors assigned to guard Supreme Leader Snoke. There eight sentinels that divided into four pairs and each pairing had a different helmet and unique weapons. 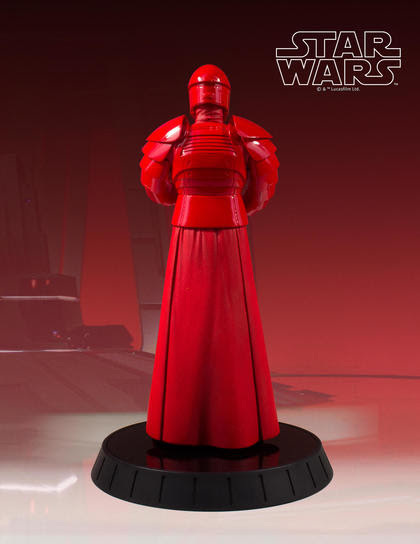 These crimson armored warriors are reminiscent of the Emperor’s Royal Guard, but unlike those stoic sentinels these elite fighters spring into action when their master is threatened. This particular guard is armed with a Bilari Electro-Chain Whip. An electro-plasma filament is threaded through the whip’s articulated segments and houses enough power to kill and opponent. The whip, at rest, is solid like a staff and can be used like a bludgeon in combat. 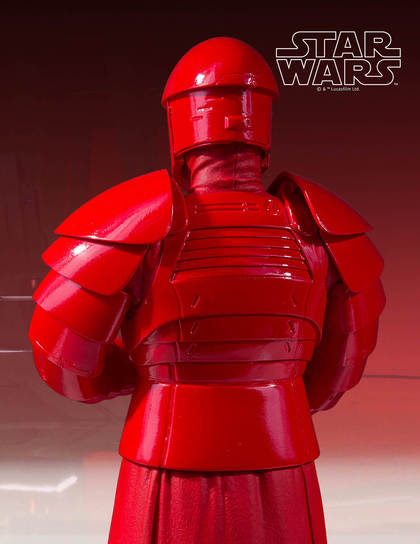 Designed and sculpted using the original film costumes and on-set scan data, our 1:6th scale Praetorian Guard is as authentic as you can get. 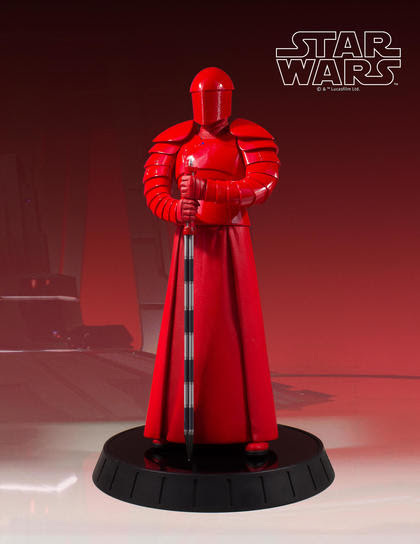 Every detail of the character and costume, every armor segment, every fold, every ridge of the mesh on the helmet have been captured in this high-quality, limited edition, hand-painted 1:6th scale resin statue from Star Wars: The Last Jedi. 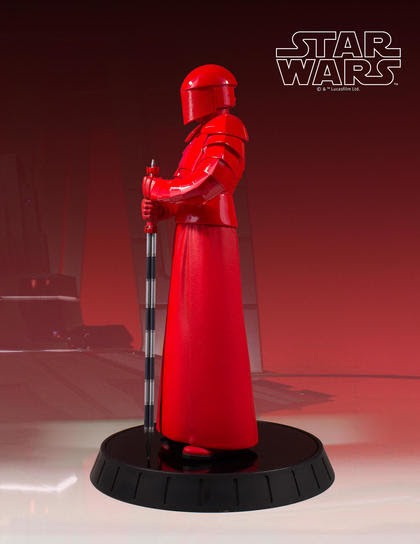 Consistent with Gentle Giant’s long running line of 1:6th scale statues, this piece is packaged with a hand-numbered Certificate of Authenticity and complimented by a gloss black display base. 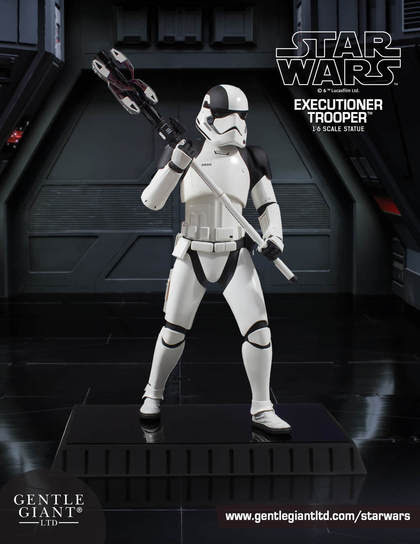 The Executioner Troopers are a specialized unit from within the First Order. 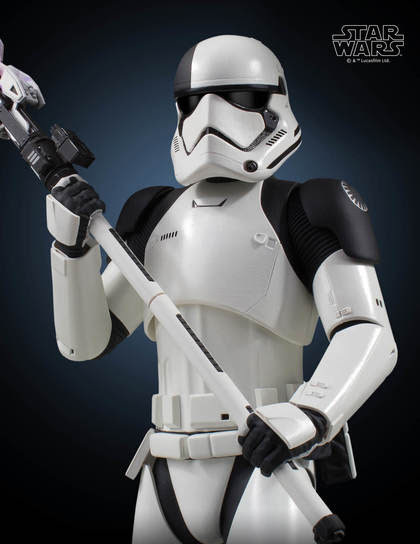 An Executioner Trooper wears a specific armor with black carbon-finish accents and the unmistakable black stripe on their helmets. The carry powerful and deadly laser axes that when activated can swiftly separate limbs from their owners. They stand ready to take commands and fulfill their duty. If you see one coming, you know your fate is sealed. 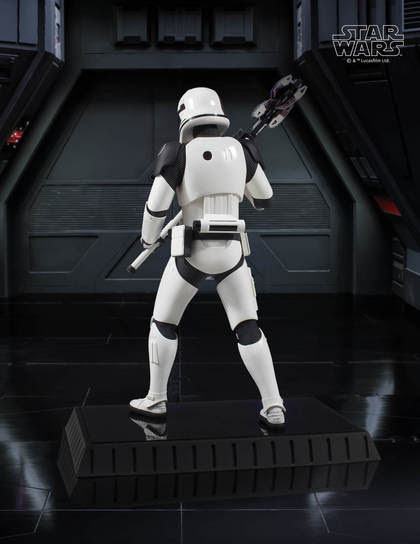 Designed and sculpted using the original film costumes, props and on-set scan data, our 1:6th scale Execution Trooper is as authentic a reproduction as you can get. 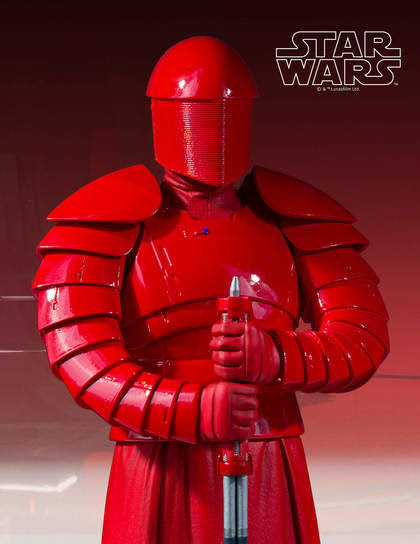 Every detail of the character, costume and weapon have been captured in this high quality, hand-painted 1:6th scale resin statue from Star Wars: The Last Jedi. 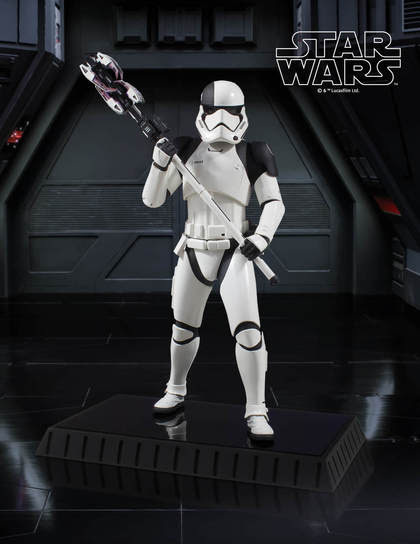 The Execution trooper is striding towards you and captured the moment before he ignites his laser axe, recreating a powerful moment from Episode VIII. The statue comes with a gloss-top base that matches our long running 1:6th scale statue line and a hand-numbered Certificate of Authenticity.